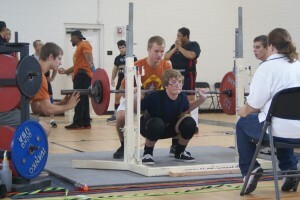 Birth Date:01/28/99 in Concord, MAOccupation:StudentMarital Status:SingleContact:jagjr88@gmail.comPowerlifting BioGive me a few more years to have one.Began Powerlifting:Started Training June 2012, First Contest October 2012Federations:USAPLWeight Class:165 lbs. Goals:Set more NC State Records, Compete in a National Meet, Beat my dad’s best liftsPowerlifting Quote:Do or do not, there is no try. Yes, Yoda was a powerlifter.